Gloria Onitiri’s boundless list of creative talents makes me rue the day I gave up my piano lessons. 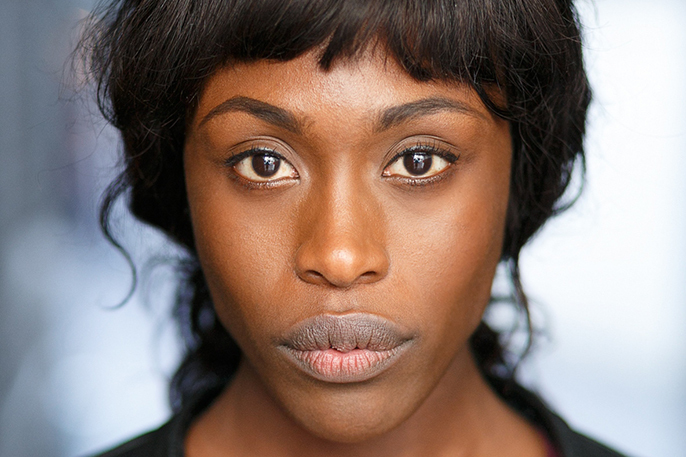 A skilled vocalist, Onitiri has starred in Hair, Been So Long and headlined as Rachel Marron in The Bodyguard. Her acting prowess has also seen Onitiri star in Egusi Soup, The Tempest and tour nationally in Bruce Norris’ Clybourne Park. Having worked in Avenue Q, Onitiri happens to be a trained puppeteer and has utilised her dance skills as Nala in The Lion King. Luckily for us, the artists’ prolific talents will be put to great use in her current role in The Stripper. Described by Onitiri as “a musical extravaganza” the piece is a classic whodunit based on a Carter Brown novel. Originally a country girl from Aspley Guise in Bedfordshire, Onitiri has worked extensively in musical productions. Adding to the show’s ingenuity is the fact that many of the cast members play several characters. This is a familiar technique to Onitiri as her last role in Clybourne Park required her to play two characters set 50 years apart. In The Stripper, Onitiri will be doubling up again, but reveals that her role as apparent suicide, Patty Keller will be short lived. Onitiri is no stranger to the stage, in fact she has previously performed at St James Theatre in her solo concert Reverie. In this cabaret style act, the singer performed a medley of December Songs by Maury Yeston. I find Onitiri straightforward and unaffected during our interview. She admits that whilst Clybourne Park was “amazing” she’s relieved to have a break from discussing race and real estate in her current role. When I got the script, it jumped at me off the page, which is rare as an actor." Music has always been a huge part of Onitiri’s life, in fact she is a classically trained musician, playing both the piano and the guitar. As a lover of drama and literature, the artist decided to combine her talents and joined the National Youth Music Theatre at 14. It was during her NYMT performance as Sylvia in The Dreaming that Onitiri was spotted by The Lion King’s casting director Pippa Ailion. Having successfully auditioned, Onitiri combined nightly performances in The Lion King with her A Levels at just 17. As an actor, singer and dancer, Onitiri has something of the vaudeville golden age about her. In her current role, the artist will be showcasing her trinity of skills, which is bound to delight theatregoers.